Salmon always tastes great whether it is simply baked, steamed, or smoked. It goes perfectly well with a lot of dishes and always seems to add a refined vibe to the dinner table. It’s also low in calories and a great option if you’re trying to lose weight. 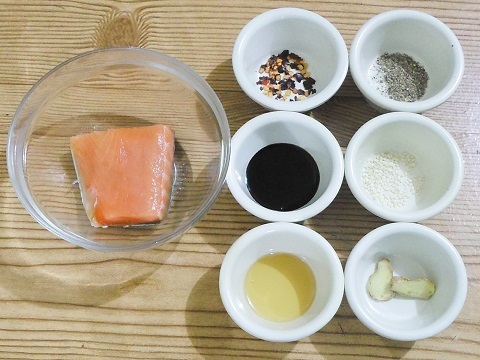 For a new take on salmon and a more exotic way of preparing it, try this coconut salmon recipe over steamed rice and your palate will surely be delighted. If you are trying to burn belly fat, you will want to consider the fact that salmon contains a very high amount of protein which is good at helping the body’s metabolism to work and break down fat and turn it into energy. The dietary action of omega-3 fatty acids found in salmon are similar to that of protein, which forces the body to naturally burn more calories while helping to keep your appetite in check throughout the day (Active Beat). 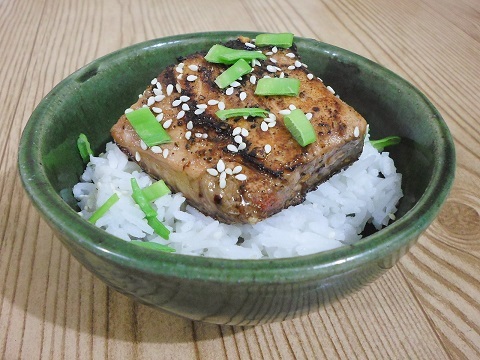 Our featured recipe is: Coconut Salmon. 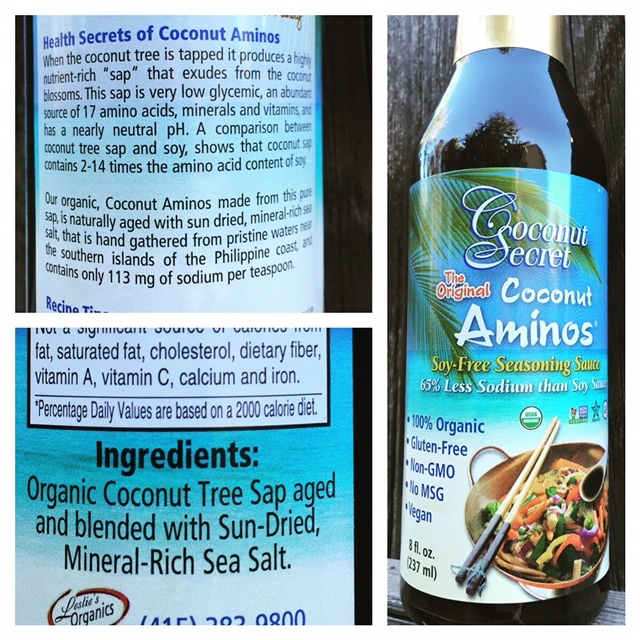 The coconut in the recipe is not the meat, but rather using coconut tree sap and blended with mineral rich sea salt. The following ingredients are for one serving. Just double, or triple it for additional servings. 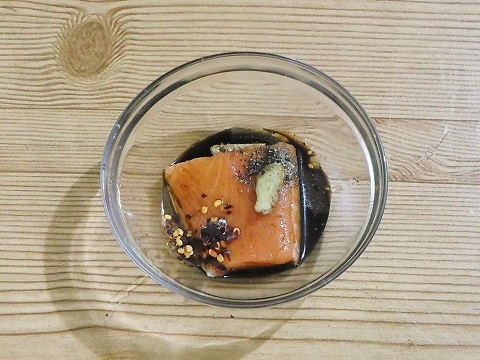 Marinate the salmon in the ginger, sesame oil, coconut amino sauce, red chili flakes and black pepper for 30 minutes to 3 hours prior to cooking. Heat a large ceramic coated frying pan over medium heat with coconut oil and add the salmon skin side down (reserve the marinade). This prevents the fish from sticking to the pan as well as prevents the meat from shrinking up. After 3 minutes turn the fish and add the marinade, and cook another 2 to 3 minutes. Serve over a bowl of steamed rice and garnish with sesame seeds and diced green onions or another green like cilantro or parsley. This entry was posted in Fish, Main Dish and tagged 10 Minutes (song), André Weil, Asian cuisine, Asian food, coconut aminos, coconut sap, coconut sauce, coconut tree, Copepod, Fish oil, Food, Ocean, Omega-3 fatty acid, Omega-6 fatty acid, Omega-7 fatty acid, salmon recipe, sesame seeds, Steamed rice. Bookmark the permalink.